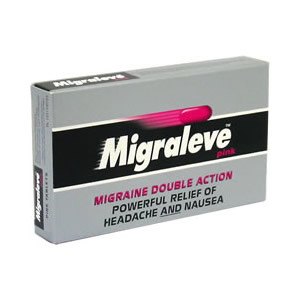 Migraleve Pink contains paracetamol and codeine, to treat the head pain, together with buclizine, to relieve the nausea. If taken at the first sign of a migraine, Migraleve Pink can prevent an attack from developing further. Migraleve should be taken in accordance with the dosage instructions on the pack. Thank you for your interest in Migraleve Pink. Enter your email and we'll contact you as soon as it's available again.